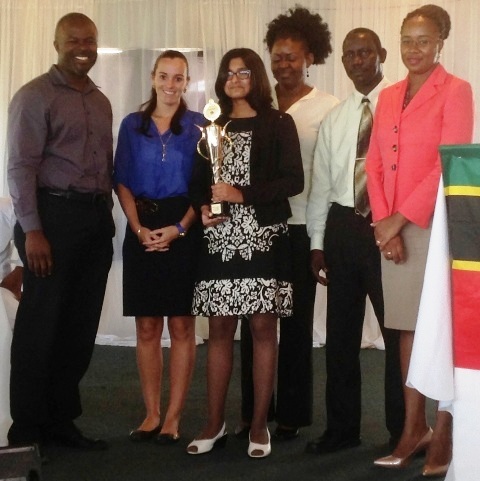 NIA CHARLESTOWN NEVIS (JUNE 04, 2015) — Fourteen year old, Tarana Kacker of the Nevis International Secondary School (NISS), emerged winner of the 2015 Bank of Nevis Tourism Youth Congress hosted by the Ministry of Tourism recently at the Occasions Centre at Pinney’s Industrial Site. She will represent Nevis at the Regional Tourism Youth Congress in Curacao, during the Caribbean Tourism Organisation’s (CTO) State of the Industry Conference in October. K-Jel Smithen of the Charlestown Secondary School (CSS) and Kayla Sandiford also from the NISS placed second and third respectively. Other participating students, who deliberated at the annual event were Vinicia Gumbs and Sabrina Orr from the Gingerland Secondary School (GSS) and Shanai Liburd from the CSS. Participants assumed the role of “Junior Ministers of Tourism” in a round table discussion that mirrors a Caribbean Tourism Organisation (CTO) board of directors meeting. They presented their views on issues impacting the tourism industry. The event comprised two rounds. In the first round, participants presented prepared speeches discussing the potential of Film Tourism in Nevis and Greening Tourism events and in round two, they were given a mystery topic on which they were required to speak impromptu. Flanked by the six participants, the reigning Caribbean Youth Junior Minister of Tourism Rol-J Williams, a fourth form student of the GSS served as moderator. He also recognized the vital contribution of the Bank of Nevis Ltd. in sponsoring the Congress for the fourth consecutive year. Following the discussions, Permanent Secretary in the Ministry of Tourism Carl Williams in an address, spoke to the importance of seeking avenues to ensure that St. Kitts and Nevis continues to grow its tourism industry on which its economic development is pegged. Permanent Secretary in the Premier’s Ministry, Wakely Daniel, also gave brief remarks. He applauded the students for their accomplishments in winning the Congress at the regional level. “Let me salute Neila Jones and Rol-J Williams for their ‘winning ways’ and for giving us much to celebrate…Thanks much for winning and thank you also for inspiring an entire island, an entire people,” he said. 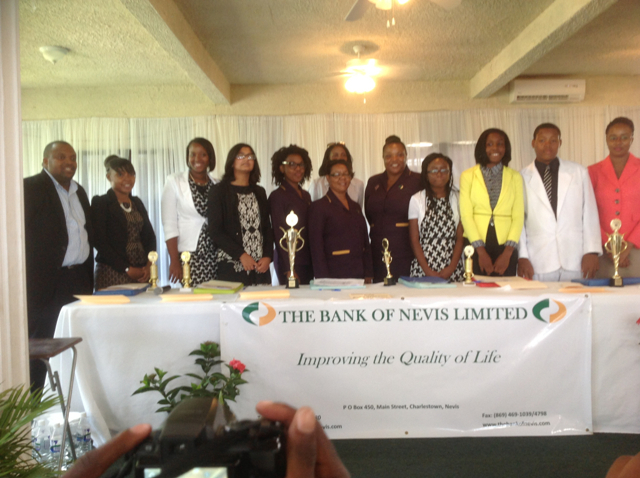 Remarks also came from, Chief Operating Officer of the Bank of Nevis Ltd. Lisa Herbert. The brief ceremony was chaired by Clayticia Daniel, who won the Junior Minister of Tourism title in 2011.